Taichung City have set up TTJ (or Taichung Traffic Jam) Bus, supplying five free bus routes to various areas of the city. I assume this is to try and relieve some of the congestion by encouraging more people to get off their scooters and cars and onto public transport. I recently travelled on the Blue Line (#58) and the Yellow Line (#56). 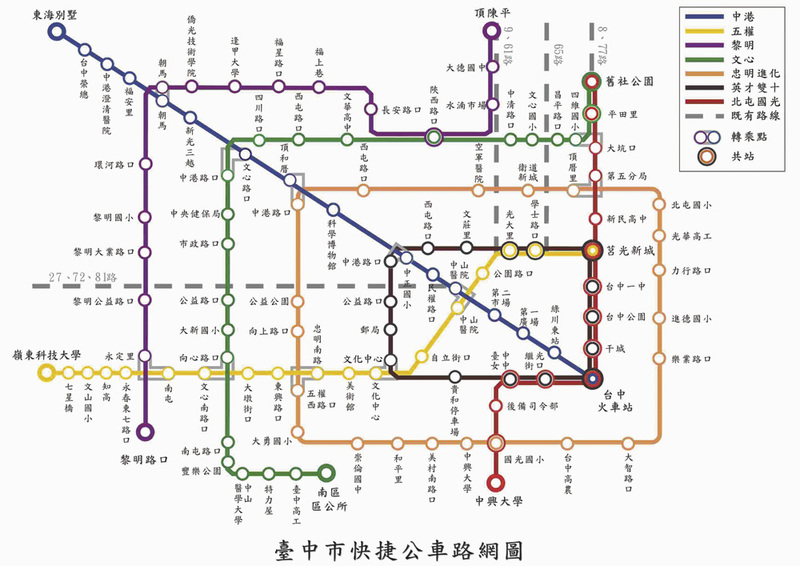 You can pick up a map of the routes (in Chinese only) at the Taichung Train Station information centre or click here for an online version. You can find a useful English outline of the major stops for each route here. I used this system to catch a ride to Viewpoints and Viewing Points, the 2009 Asian Art Biennale exhibition currently showing at the National Taiwan Museum of Fine Arts. You can read my ramblings on the exhibition here. This entry was posted on January 19, 2010 at 2:22 am and is filed under JoB likes. You can follow any responses to this entry through the RSS 2.0 feed. You can leave a response, or trackback from your own site. I know these TTJ busses are free but do you have to swipe some card to ride them? If so how do I get one? Thanks! Thanks for your comment, Christina. You can use your prepaid Easy Card on these free buses. I think you can top it up at 7/11 but I’m not sure. I got mine in Taipei (from MRT counters) when I first came to Taiwan and always top it up when I travel back there. There’s some more information on the buses here but I couldn’t find much on where to buy one in Taichung.